Due to lack of space, the merit of each of these finished was not discussed in the book. It might fairly asked, “what does PCB surface finish have to do with high speed PCB design?” The answer, of course, is nothing. The reason I choose to discuss it here in detail is that I’ve seen dozens, maybe a hundred or more, elegantly executed high speed designs fail due to unreliable solder connections that were traced to using the wrong surface finish. It is always sad to work one of these problems because the solution is always to throw away the assemblies and start over a sure recipe for failure or at least a major schedule hit. As is pointed out in two of the articles listed at the end of this paper there are no perfect finishes When selecting a PCB surface finish, trade offs will have to be made between the good and bad points of each finish. Once this has been done, it is important to select fabricators that demonstrate good control over the chosen finish process and then monitor them on a continual basis to insure their process stays in control. this point is that they can be electroplated with a DC current. Plating done this way is more durable, thicker and purer than the other choices. Descriptions of these finishes are provided below. Electroplated solder is the original surface finish used by the printed circuit board industry. It is the lowest cost finish in that it does two jobs with one operation. By plating the solder on right after copper plating, it serves first as an etch resist and then as the protection for the copper surfaces onto which components are soldered. As discussed below, this finish has the problem that solder mask is applied over it which can fail when the solder under the mask on the traces melts during wave soldering. More recently, the lead free movement has made this finish undesirable due to its lead content. In response to this, many fabricators have replaced this with electroplated tin as the etch resist. Electroplated tin is the replacement for electroplated solder as an etch resist. A natural thing to consider is to apply solder mask directly over the tin and use it as the final surface finish. This has been tried a number of times, especially on backplanes, always with mixed results. The problem is that pure tin, and some tin alloys, will develop very tiny tin whiskers between circuits of different voltages resulting in short circuits and leakage paths. For this reason, tin as a finish in any of its forms is not a reliable choice. Electroplated gold over electroplated nickel as a finish is as old as, if not older than, plated solder. If one popped the top off an early Tektronix or HP instrument it would be seen that all of the PCBs would have gold plated finishes. Before the price of gold skyrocketed, this was the choice we all made. Solder was devised as a substitute. 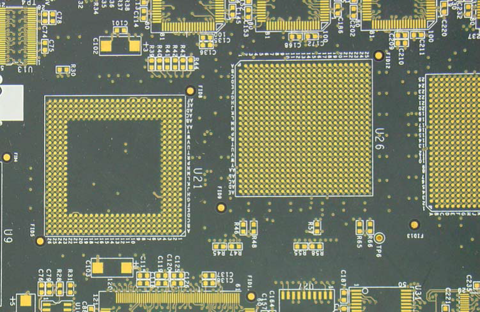 Figure 1 is an example of an electroplated gold over nickel PCB. Of all the surface finishes discussed in this paper, this is the most reliable choice. It is the only finish I will use on expensive PCBs. However, it is not without its risks. The risk when using this finish on PCBs with small, high aspect ratio holes has to do with the etching process used to remove unwanted copper from the outer layers of the PCB. The nickel and gold protect the copper in the plated through holes from being etched away. If the plating operation used to deposit the nickel is not very well controlled, the copper in the center of a plated through hole will not be covered. As a result it is etched away. This would not be bad if the copper were completely etched through because this would show as an open circuit and the board would be discarded. The problem is, small amounts of copper, enough to pass bare board test, remain in the hole. After soldering, this copper often fails resulting in a bad PCB. There are two fixes for this. Some fabricators know this will happen and plate extra copper in the holes to allow for it. Other fabricators plug the vias on the top and bottom with a photo-imageable material prior to etching the outer layers. Some ask why nickel always seems to be paired with gold. This is a good question. The protective metal in this case that protects the copper from corrosion is gold. If gold is plated directly on the copper, it will alloy with the copper and soon copper molecules are back on the surface of the PCB corroding- not what we want. The problem is solved by plating a barrier metal, such as nickel, onto the copper first followed by the gold plating. Hot air solder leveling (HASL) is and has been the finish of choice for SMOBC PCBs for a very long time. It is the least expensive finish after plated solder. HASL is applied by immersing the finished SMOBC PCB in a vat of molten solder to coat all of the exposed copper. The PCB is drawn out of the solder bath through a pair of air knives that blow away the excess solder, leaving enough solder on each pad to provide corrosion protection. Figure 2 is an example of a PCB finished with HASL. 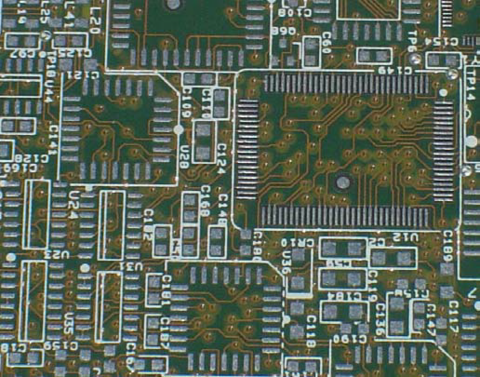 The problem with HASL is that the solder height on the pads of very fine pitch SMT parts is not always uniform. 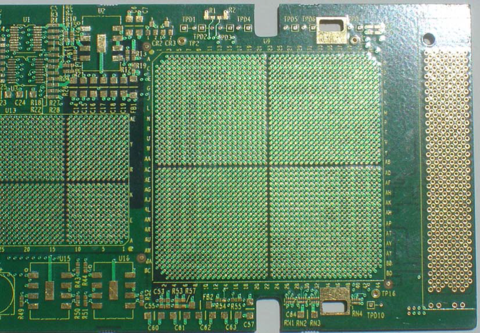 As a result, solder paste is not applied uniformly, resulting in solder shorts on high lead count parts such as QFPs and BGAs. The other finishes in this category have all been formulated to solve this problem, a lack of flatness of the soldering surfaces. A second problem with HASL is the fact that each PCB is subjected to a severe thermal shock when it is immersed in the molten solder. With thick PCBs containing large numbers of small plated through holes, this can cause some of those plated through holes to fail. Organic coatings, such as Entec 106, are thin films of organic substances that protect the copper until soldering takes place. At that time, they serve as solder fluxes. The problem with these finishes is that they are not as durable as the rest. In most cases, touching the finish with fingers destroys the coating, rendering the PCB unusable until the coating is stripped and reapplied. A second problem with some of these finishes is short shelf life. Yet another problem is these finishes are insulators, so performing any sort of bare or loaded board test probing is difficult, if not impossible. Last, if a PCB has surface mount assembly parts on both sides, while one side is being soldered, the coating on the other side can deteriorate, causing solder defects. As a result, this coating is best used on PCBs that have components on only one side. 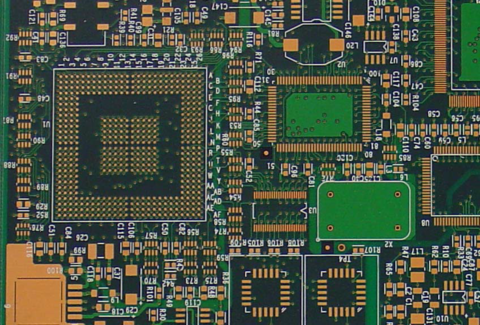 Figure 3 is an example of a PCB finished with Entec 106. I have seen whole programs ruined because someone decided to save a few dollars by using this finish on a complex, double-sided assembly PCB only to find that every board had failed solder joints. Sure, $30 was saved per bare PCB, but all of them were scrapped at hundreds of times the apparent savings. Electroless nickel under immersion gold (ENIG) is a very good finish if applied correctly. The reason for the terms “electroless” and “immersion” in the name is that the nickel and gold must be deposited on the copper without using electricity. Remember, we have etched away all of the copper on the outer layers that would have served as electrical paths for plating. Figure 4 is an example of an ENIG PCB. This finish is applied with two chemical baths that are very complex. The chemistries have been formulated so that nickel deposits onto the copper followed by gold on top of the nickel. Again, the objective is to get a thin layer of gold onto the pad for corrosion protection. As long as the chemistry is well monitored and fresh, this finish works very well. The problem with the finish stems from the fact that when the chemistry gets out of balance a thin film of black material is deposited on the nickel just before the gold is deposited. On examination, the PCB looks perfect. The black material will cause the solder joint to be weak and fail. This problem is only discovered after the PCB is fully assembled. This is the “so-called” black pad syndrome. When it happens, disaster has struck the program. In the late 90s, several large companies had to scrap thousands of complex, expensive assembled PCBs due to this problem. Those who lived through this time, including the fabricators who made the PCBs, will have nothing to do with ENIG as a result of this. As recently as last week, I had a client from Israel who manufactures PCBs for their aerospace industry call me with just this problem. Unfortunately, I had to tell them to scrap the assemblies and start over with a better finish. Immersion tin is a very appealing finish. It contains no lead, so it satisfies RoHS. It is very easy to apply. It is applied by simply dipping the PCB into a solution containing tin. What could be better? The problem is, as mentioned earlier, tin grows whiskers which slowly develop into short circuits or leakage paths. This finish should never be used on PCBs. Figure 5 is an example of an immersion tin PCB. Immersion silver is also a very appealing finish. It is being used successfully on consumer electronics in China. Some fabricators in the United States have installed electroless silver plating lines and are using them on production PCBs. To date, the results have been good. There are some reports that when soldering the first side of a double-sided assembly, the silver on the second side corrodes rendering it difficult to solder. My view on this is much like the experience we had with ENIG. In the early days of its usage, everything looked great. Slowly, we began to experience failures from black pad, until one day, many of us had disasters on our hands. As a result of this experience, I choose to wait and see how this works for a while before jumping on to the immersion silver band wagon. After all, most of us still have to go through the lead free solder transition and don’t need a surface finish problem on top of everything else. 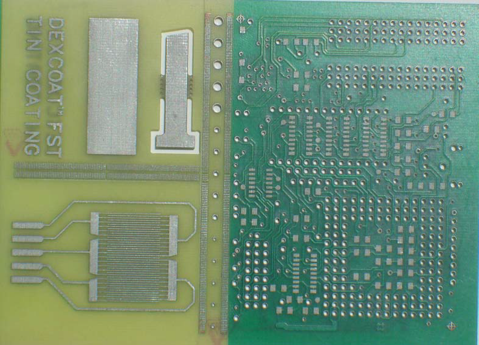 A number of network equipment manufacturers have tried immersion silver on complex multilayer PCBs only to find that after a few months the silver plating in press fit holes, test points and other places where the silver is exposed has corroded to the point that the PCB looks like it should be thrown away. While the PCB may still be functional, it looks so bad cosmetically, that customers who pay large sums of money reject them. For this reason, immersion silver is not a good choice for anything but consumer electronics where the PCBs are never seen by the customer. As some of the references below point out, there is still no ideal PCB surface finish. With the exception of tinbased finishes, each finish has a place where it represents a good trade off between cost and reliability. Most engineers designing high performance, multilayer PCBs are faced with minimizing the risk of a PCB failing. As someone once said, “No high speed system should ever fail due to a problem with the PCBs.” In order to get as close to this goal as possible, I have found that the lowest risk finish for such PCBs is electroplated gold over electroplated nickel. 2. Prasad, Ray, “Understanding Surface Finishes”, SMT, May 1998. 3. Walsh, Mike, “Electroless Nickel/Immersion Gold and Black Pad”, Circuitree, January 2001. 4. Cullen, Don, “Going Beneath the Surface of Surface Finishes”, Circuitree, November 2002. 5. Barbetta, Mike, “Surface Finishes, an OEM’s Perspective”, Circuitree, May 2003. 6. Barbetta, Mike, “The Search For The Universal PCB Finish”, PC Design, February 2004. 7. Beauvillier, Luc, “The Quest for the Ultimate Surface Finish”, PC Design, June 2005. Note: The author has copies of all the above articles and papers.